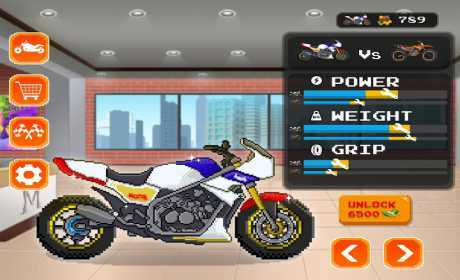 Do you like moto, racings and retro games ? Yes, then MOTO QUEST BIKE RACING is made for you. 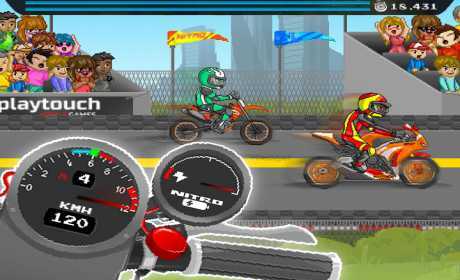 It’s a really fun moto-racing game like drag races games in which you race against several opponents, you upgrade and repair your moto, and you can unlock and buy new motorbikes. 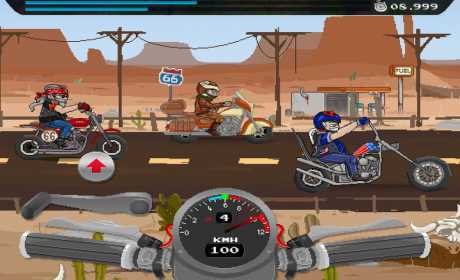 MOTO QUEST BIKE RACING is a great game, that will make you play for hours. You compete in duel races : 1 versus 1. Your goal is to win the race to go to the next opponent and unlock new motorbikes. This is pretty simple, isn’t it ? Ok, but do you really have what it takes to raise this challenge ? Beat all the bikers clans in epic races and become the king of MOTO QUEST BIKE RACING.